On 12th July 2016, We went to CLASS Budhanilkantha for kit distribution. 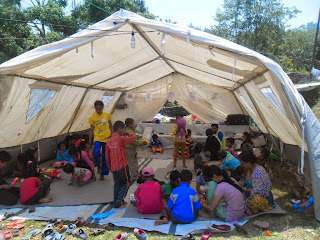 In CLASS Budhanilkantha, there are 25 children studying through CPCS support. At the same time we did health check up program, activities for children and parents meeting. 23 Parents and 5 teachers are involved in the program. Padam sir managed health check up program. Ranju miss and Sanu miss managed activities for children. We discussed with parents about children education and their health.